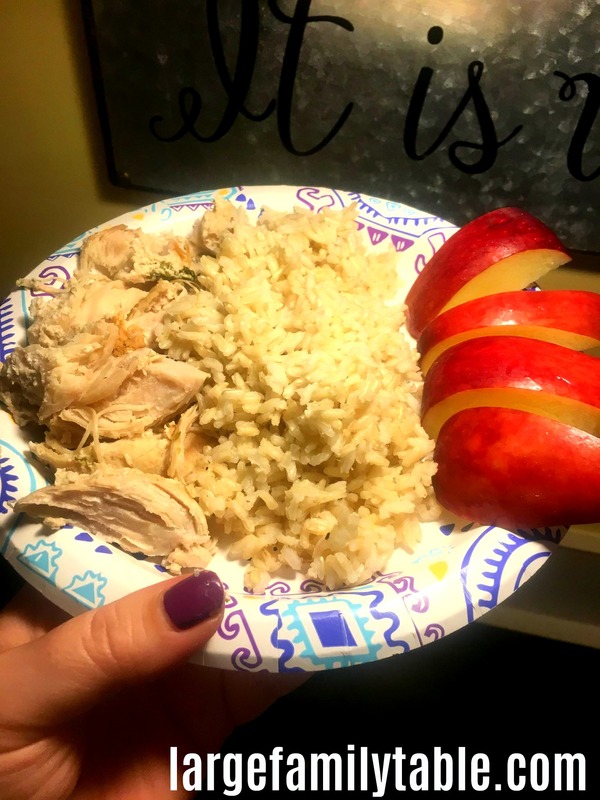 I made two freezer bags full of this coconut lime chicken freezer meal recipe during my last freezer cooking day where I made 50 Keto Instant Pot Freezer Meals for my large family. 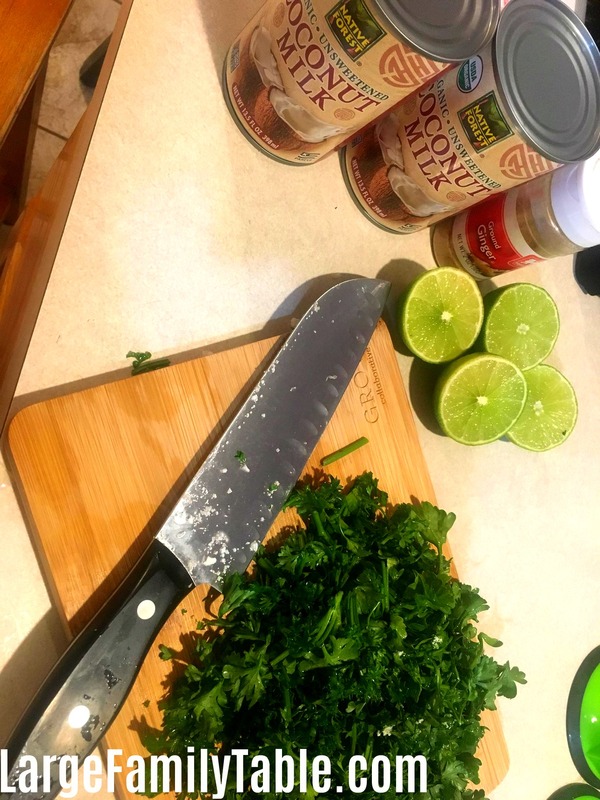 This Coconut Lime Chicken is low carb, Keto friendly, and also a Trim Healthy Mama S-meal for the win! I served it to my children with brown rice and apple slices. I personally ate my Coconut Lime Chicken on a bed of greens. 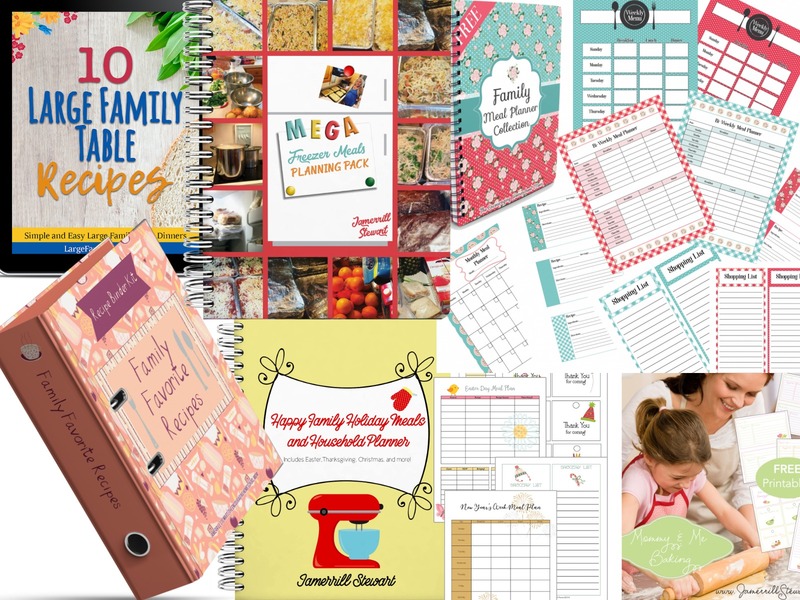 You can serve it to your family any way you’d like. 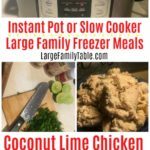 Enjoy this Coconut Lime Chicken Instant Pot Freezer Meal or your large family. 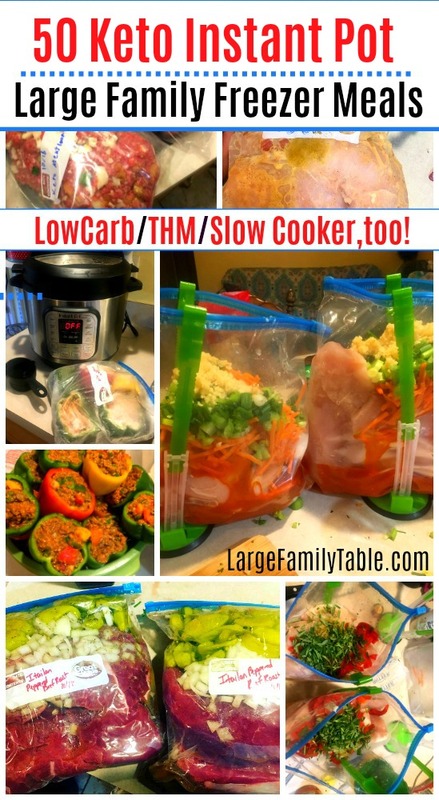 I’ve also included slow cooker recipe directions below. As always I use and 8 qt Instant Pot for cooking my freezer meals. Run cold water over the outside of your frozen gallon freezer bag to gently defrost the frozen food from the bag (enough to dump it out and release the food from the side of the frozen bag). Place in Instant Pot. Place lid on pressure cooker and seal the valve. Cook on manual high pressure for 25 minutes. Let pressure naturally release for 5-7 minutes, then quick release the remaining pressure if you like. *Note the internal temp of your large family Coconut Lime Chicken. If the internal temp is not reached place back in IP for 10 minutes and check again. Because of the variables with pressure cooking, it’s not always a perfect science and sometimes needs additional adjustments. The USDA recommendations a minimum internal temperature of 165 degrees for poultry. For the slow cooker just set out your Coconut Lime Chicken the night before to defrost in the refrigerator. The next day pull your Coconut Lime Chicken out of the freezer bag. Place it in your slow cooker and cook for up to 4 hours on high and 7-8 hours on low (slow cooker times may vary so always check the internal temperature to complete doneness). Serve Coconut Lime Chicken over steamed rice or cali-rice with a side of freshly steamed vegetables! 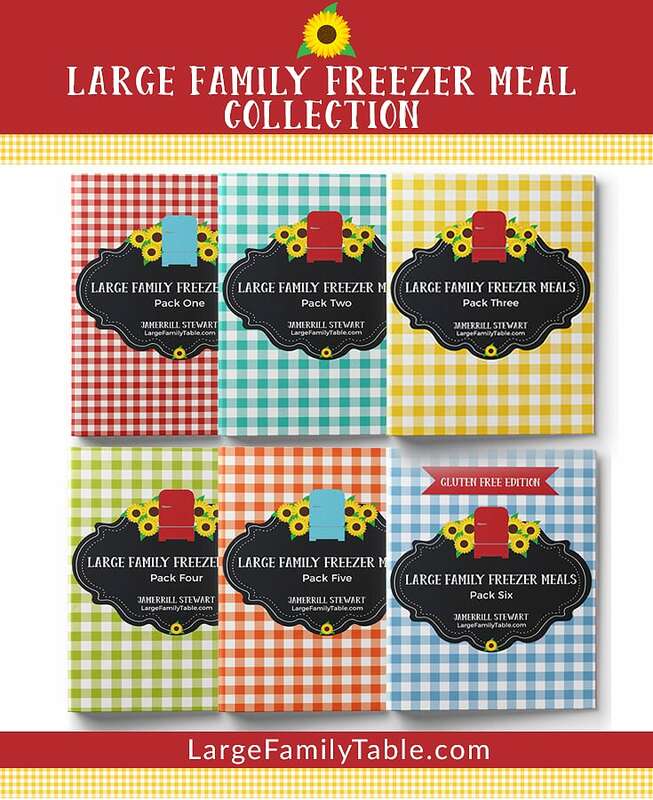 This will make two large family freezer meals. If you love this easy Coconut Lime Chicken Instant Pot Freezer Meal Recipe you are sure to love these 50 Large Family Keto Instant Pot Freezer Meal Recipes here!